BOTH sides of the fence wall. the sound level in half. reminder of a company's products or services. safety and protection for property infrastructure. with StoneTree® precast concrete columns. and gates of all sizes and for all purposes. 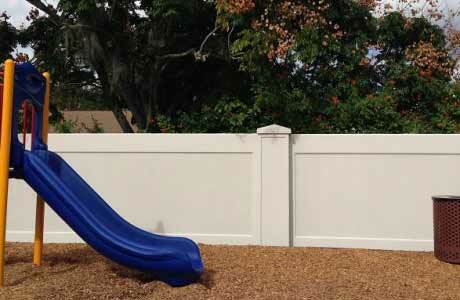 maintenance-free, attractive protection to residents. 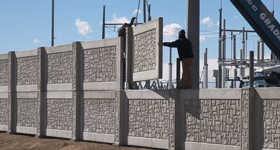 Learn more about using StoneTree® Concrete Fence Walls for your next commercial, industrial, public works or municipal fence wall project. 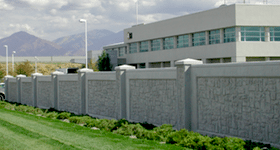 StoneTree® Security Barriers for Utility Sites meet U.S. Department of Homeland Security and NERC requirements to increase security. 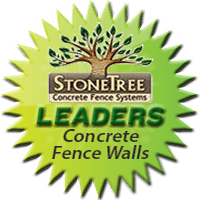 StoneTree® Precast Concrete Fence Walls are the premier choice for Homeowner Association Fence Walls, Privacy Walls and Security Walls. 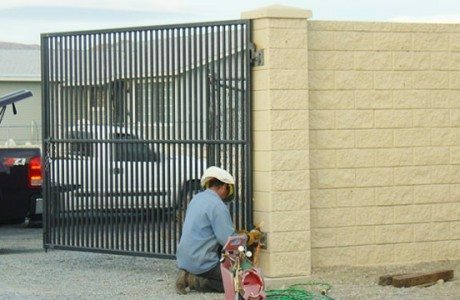 StoneTree® Fence Wall Systems are currently used to provide security around residential developments, industrial projects, utility substations, and more. - If Outside the U.S.A.